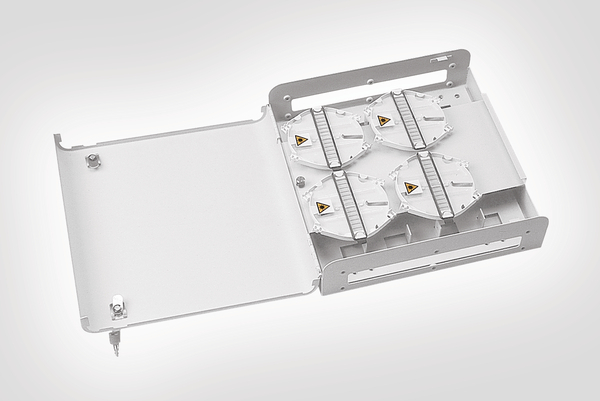 Technical Description The Building Flexibility Point (BFP) box is manufactured from epoxy coated steel and is designed for the protection of fibre optic cable splices within internal environments. It contains 4 Hellafos splice trays which are mounted on the single hinged splice tray mounting plate. 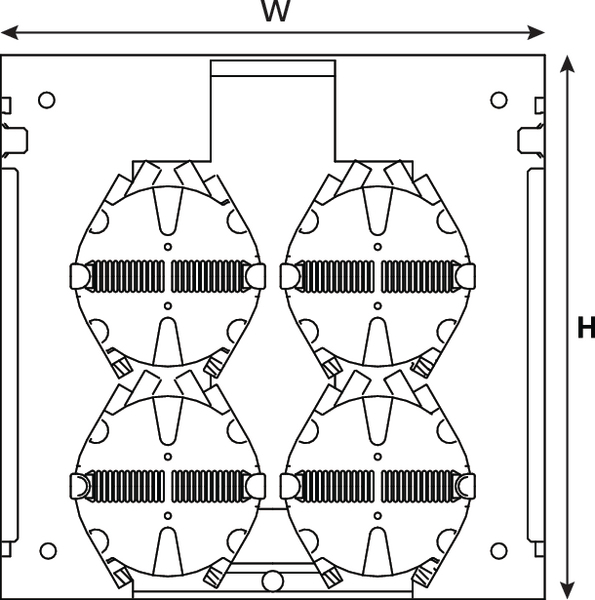 Each of the trays can achieve a maximum 24 splice capacity when using 3A heatshrink splices. 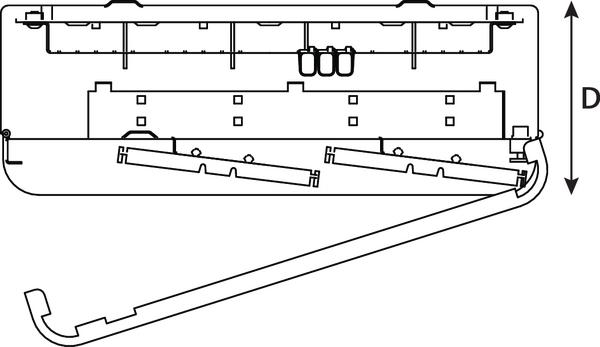 The box is fitted with a lockable single hinged door, a back plate with cable strength member anchor points and the fibre storage area is positioned behind the hinged splice tray mounting plate. A range of glands and bulkhead plates for cable entry are detailed below and must be ordered separately.